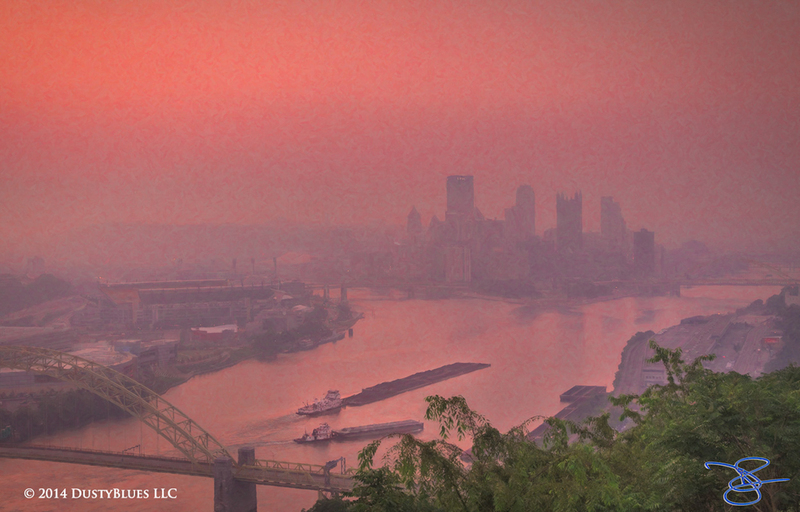 Surreal twilight veils tug boats in the head waters of the Ohio River. As the rising sun's slight warmth begins to intermingle with the three rivers volume of water it creates it's own quite localized weather system most days. Never exactly knowing how this may develop, one waits expectantly. This morning gave rise to a wonderful glow with reflections in the rivers while two tug boat captains were arriving upriver pushing their cargoes of raw materials required to keep the industrial world in motion. A memorable spring morning.